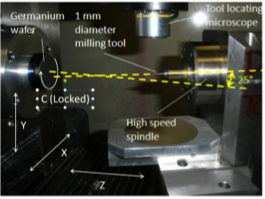 Matt Davies and Thomas Suleski published a paper, ‘Diamond milling of an Alvarez lens in germanium,’ in Precision Engineering. Abstract: Single crystal diamond milling of optical materials opens up new design degrees-of-freedom for optical engineers. However, parameters for milling of many optical materials have not been investigated, under- stood, or documented. 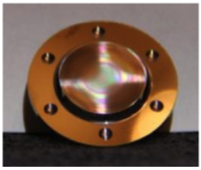 This paper focuses on the milling of germanium to fabricate a freeform “Alvarez lens” in the mid-wave infrared (MWIR). 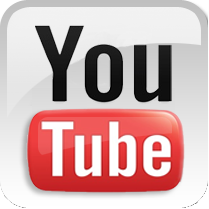 While the design concepts for such optical systems have been known for decades, implementation has been limited due to difficulty in manufacturing the freeform surfaces. Ultra-precision, multi-axis machining centers can manufacture these surfaces through single crystal diamond milling. A battery of high speed diamond milling tests was performed in germanium to develop the parameters for machining the Alvarez components. Near-surface crystal quality and residual stress measurements using confocal Raman spectroscopy are reported, along with representative test results of the functioning optical system.